In continuation with the previous post, here are some more common questions I see in my Google Analytics log. The post help to get direct answers for the question. (1) How many words can I use in H1 tags? H1 tags are for page headings. There are no fixed numbers. Have H1 tag meaning full for page body content that helps users and search engines to understand better. Normally 4 to 5 words are seen around as maximum and they were meaningful. (2) Can I use the same article content in different articles site? No you should not. Have one article per site. Do not duplicate. Make sure that the articles site is not a scrapper site. (3) Does Google prioritize search results? Yes Google lists search results based on website popularity and the factors includes links to your site, search engine friendly structure, quality content and many other factors. Follow Google guidelines to increase your online presence. (4) How to get listed higher in Google? Your site should meet Google guidelines provided the site should have relevant backlinks for your users search keywords and should have quality resources (articles, news etc). If it is a service site, build internal links from your resources. (5) How often does Google crawl? There is no fixed time interval. 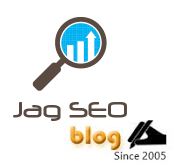 Crawls are based on backlinks, content updates, PageRank and many other factors. Build crawler-friendly pages by following Google guidelines. (6) What is the Google panda factor? Panda is a filter that finds low-quality pages. If you have too many low-quality pages then the site will be flagged. Read more on Google panda factor checklist. (7) What are more important backlinks according to Google? Backlinks that are related to your site theme and the linking site should have related content around. (8) What does the term keyword prominence refer to? Keyword prominence refers to the priority given for the keywords in top content, Title, H tags and Meta tags. (9) What directories does Google like? Human edited directories are linked most. (10) Should I mention sitemap in robots.txt file? Mentioning sitemap XML in robots.txt helps spiders to know the location of the sitemap. The blog post “SEO questions answered” will be a weekly update. I will be answering the question as I find in my Google Analytics search log. Subscribe and stay tuned!